The ELM-9000A simplifies and modernizes lensometry. You and your staff will appreciate the many benefits of automation and advanced features when selecting the ELM-9000A. 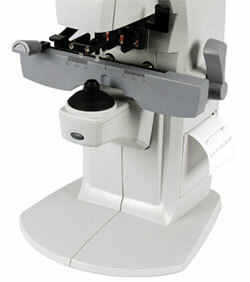 This high-tech lensmeter features outstanding functionality, tremendous versatility and speed. Whether you're measuring single vision lenses, sunglasses, progressives or contact lenses, this advanced automatic lensmeter won't disappoint. 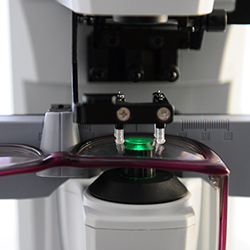 You and your staff will obtain accurate lens measurements every time. The intuitive full-graphic LCD touch screen guides operators through the process, reducing stress and errors. 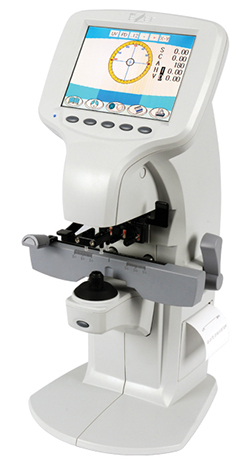 The ELM-7800 offers the utmost in flexibility by accurately measuring all lens types— including progressives. Operators will enjoy the full-color LCD display, which walks them through every step of the lens measurement process. 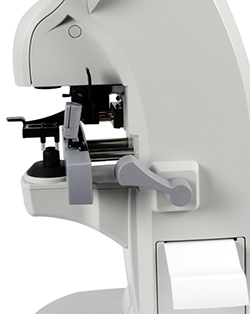 The ELM-7800 offers fast and accurate measurement data of hard and soft contact lenses. The ELM-7800 features a 5.7-inch high-resolution color LCD screen. 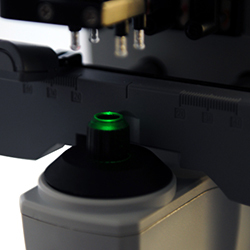 Green light provides more precise measurement values without Abbe value compensation. The PD Bar and Measurement Nose can measure even the smallest progressives and multifocals. The ELM-7800 accurately measures UV transmittance. Once your readings are complete, a built in printer quickly generates the results. Printer paper can easily be changed.